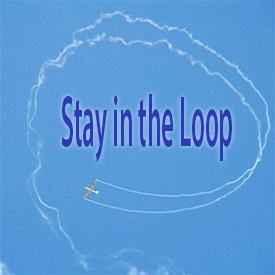 Membership, Join PASCO - Pacific Soaring Council Inc.
$25 per year. It has been $25 for over 20 years. Our costs have risen 10 fold, so we really depend on dues and donations to keep us going. At only $25 per year, we do not prorate by month. The annual dues are the same price whether you pay in January or December. Each calendar year is $25. The dues are low, we are a non-paid volunteer organization, and we need to keep the labor (time spent) and total overhead down. For new members, if you do not want to pay in December for that year, wait one month and pay in January. We really depend on your annual dues payment, so please pay each year. PREFERED: ONLINE with your charge card using PayPal. PASCO does not see or record your credit card information, we do get a 'PAID' notice from PayPal with your name and email address. To help PASCO defray the credit processing fees, we add $ 0.85 to the total, for a cost of $25.85, but you do not need a stamp, an envelope, or a trip to the post office. Print the Membership Form, fill out the form, add a $25 check made out to: "PASCO Membership" to the address is below (it is also on the form). Save Time and Energy, Pay Online using the 'Pay Now' button above! Dues are only $25 per calendar year however, it is $25.85 when paying online, but you do not need to buy a stamp or envelope. Already a Member? You can RENEW online too, just click on the Pay Now button above. Membership in the Pacific Soaring Council (PASCO) supports your Soaring Community in Northern California, Nevada, most of SSA's Region 11. Dues help us sponsor activities in Northern California and Nevada designed for soaring pilots at all levels of skill and experience. Your membership is vital for the Pacific Soaring Council to act as an effective Regional soaring organization.